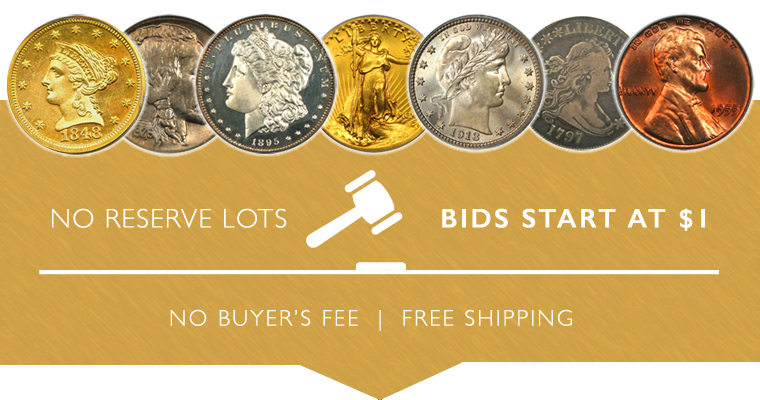 Our highlight is a 1911-D 2 1/2 NGC/CAC MS63. The key to the Indian-head quarter eagle set with a tiny (relative to the rest of the series) mintage of 55,680 coins. This stunning piece is CAC approved for quality. Of course there are many other highlights, so be sure to browse all lots in this exciting new sale before it closes on Sunday, December 7th.